Why is it possible to construct with the compass and ruler a regular 5-gon but is impossible to construct the cube of volume 2? Why there is a formula solving a quadratic equation but there is no such a formula for an equation of degree five? Why it took physicists by surprise to discover a crystal that appeared to have a rotational 72 degrees symmetry? 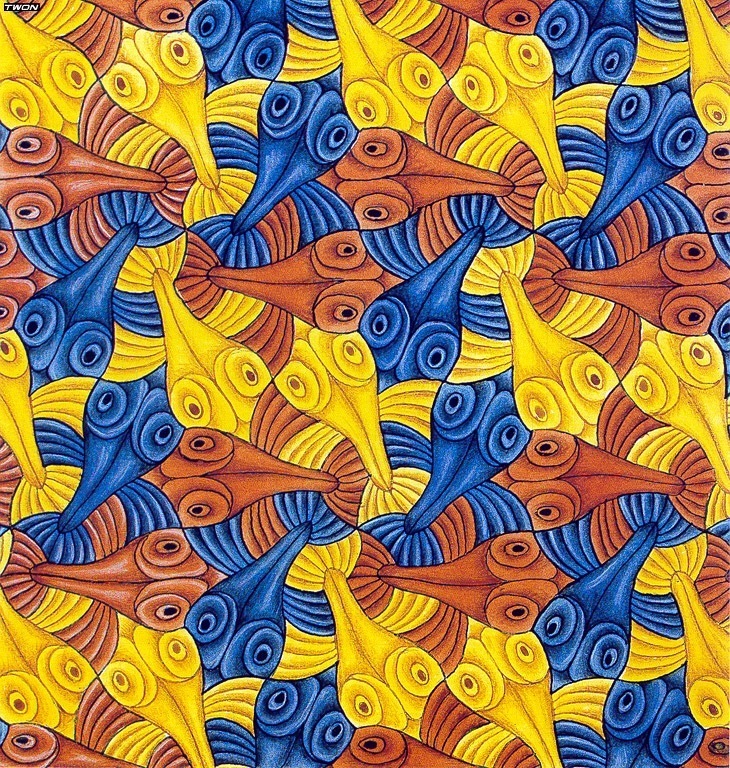 And what all this has to do with elementary particles and Escher's paintings? The notion that unifies all these themes is a ``group of symmetries". In our semilab we will introduce this notion and will illustrate it with a variety of geometric themes (in the spirit of the ``Klein Erlangen Program" asserting that there are many geometries corresponding to various symmetry groups). We will start with a familiar group of Euclidean motions of the plane (translations and rotations) and will describe associated wallpapers. Then we will add to it similarities and ``Mobius maps" that can change the size of figures but respect angles (which is useful for cartography). Nice fractal patterns, like ``Apollonian gaskets", appear in this kind of geometry. We will move on to spherical and hyperbolic geometries, challenging the well known to you fact that the sum of angles of a triangle is equal to 180 degrees. Five Platonic bodies and infinitely many ``double bagels" (called ``krendel's" in Russian) will be served for desert.